You are here: Home / Are You Measuring Your Efforts? 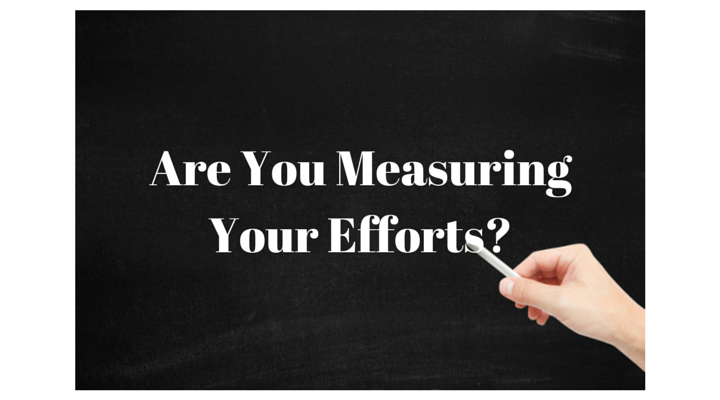 Are You Measuring Your Efforts? Are you measuring the performance of your online marketing efforts or are you just hoping for the best? If you aren’t using analytics to collect data, measure and improve the performance of your efforts, then you are throwing money away. Using analytics is important for many reasons. In the simplest of terms, analytics provides feedback on your online marketing efforts. For example, consider the following uses of analytics. First, it can quickly provide feedback on whether your online marketing efforts are producing the results you expect. This is critical if you are using any form of paid advertising such as Google Adwords. If you are spending funds on paid advertising, what return on investment are you expecting? Analytics will help determine the return on your expenditure. Second, analytics can be used to improve your efforts. For example, you can conduct testing of various advertising messages to determine which one works better. Or testing variations of the content you are publishing to determine which messages received the highest level of engagement and/or drive the most sales. This can be extended into a continuous process of improvement. Third, depending on which analytics package you are using, often you can tie data collected into your CRM (customer relationship management system). By tying your analytics into your CRM, this can provide additional insights and bolster reporting. As you can see, analytics plays a key role in the use of online marketing. Measuring the return on your ad spend, improving your efforts, and using the data collected for other purposes are just some of the reasons for using it. First, you’ll need a measurement plan – In the simplest form, it should include your goals and objectives and be tied in to provide feedback to your strategy and tactics. It is important to remember that measurement must incorporate a degree of responsiveness to change as data is collected and analyzed. You might find that you were measuring the wrong metric and/or new metrics will arise. Second, an analytics package – These packages are wide ranging from the very popular Google Analytics which can measure a wide range of digital – social media, Facebook Insights which is Facebook focused, to third party tools such as Simply Measured, Social Bro, and Hootsuite. Often there are ways of tying platforms together through various means. Third, properly setting up your analytics package – Much of your analytics setup will depend on your measurement plan. This is why creating the measurement plan came first. Fortunately most packages offer robust help guides on setting themselves up for success. Finally, the day to day operation and interpreting the reports produced – Remember, you aren’t setting up analytics just for the sake of collecting data. The main outcome should be actionable information through which you can improve efforts, reduce costs, find new opportunities, and make sure you are receiving a positive return on your expenditures. In summary, analytics will be critical if your online marketing efforts are going to be successful.